Whip up some creativity with this matte white washi tape from MT Masking Tape. With a matte texture, this white washi tape forms part of the perfect monochrome pairing alongside mt matte black. Perfect for embellishing all sorts of handmade items and homeware, this white mt washi tape is a useful addition to any washi tape collection. White washi tape contrasts brilliantly on dark, patterned and kraft backgrounds. You can write on this washi tape with pen, which also makes it great for labelling things like box files, stationery and notebooks. MT's matte white washi tape also makes a useful base for some of the mt masking tape pattern washi tapes. 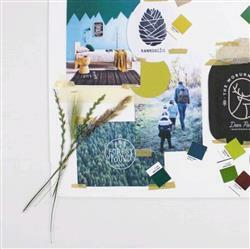 As some of the patterns such as the dots and grids are translucent, you can layer patterned washi tape over matte white to create colourful collages. This mt washi tape is easy to tear by hand. You can use it on the wall like regular masking tape and it's easy to reposition too. Fab products, super quick delivery and always a personal hand written thank you in the packaging. Don't ever get too big to lose these touches.